NC I-Corps Next Step program is a partnership between UNCG who will launch and lead the program, collaborating with three fellow UNC System institutions: NC State, East Carolina University and UNC Charlotte.These universities are applying for a grant to promote entrepreneurial ambition and economic advancement on campus and across the state. 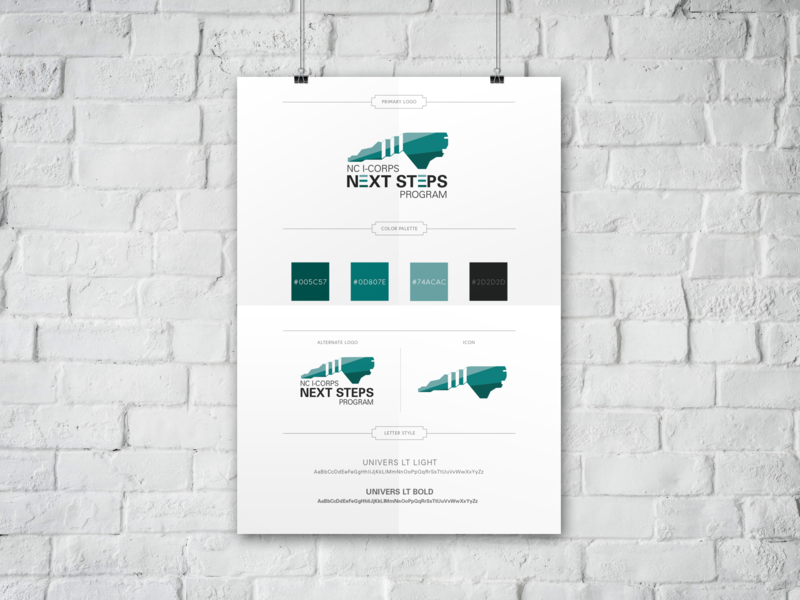 The funding will support a new program – NC I-Corps Next Step – to help move faculty and student innovations to market. I was brought on to create the logo that the group would use to represent the program. I wanted to combine the State of NC where all the universities were located with the step imagery to give the illusion of upward motion. It was announced on Oct 2, 2018, that the program received the $100,000 grant from NC IDEA.